This first week of visual arts has physically and theoretically opened my eyes to the world of art and it’s wide array of vastly interesting topics. Starting out with the three million years of art history truly engaged me from the start and was also well talked about with my group mates. The red jasper pebble looked so familiar to the picture of the Australopithecus Africancus people and I was amazed how it could look that way after years of water had formed it that way. Also the beyond aspect of how that picture is in space and future creatures will be able to see how life on earth was. 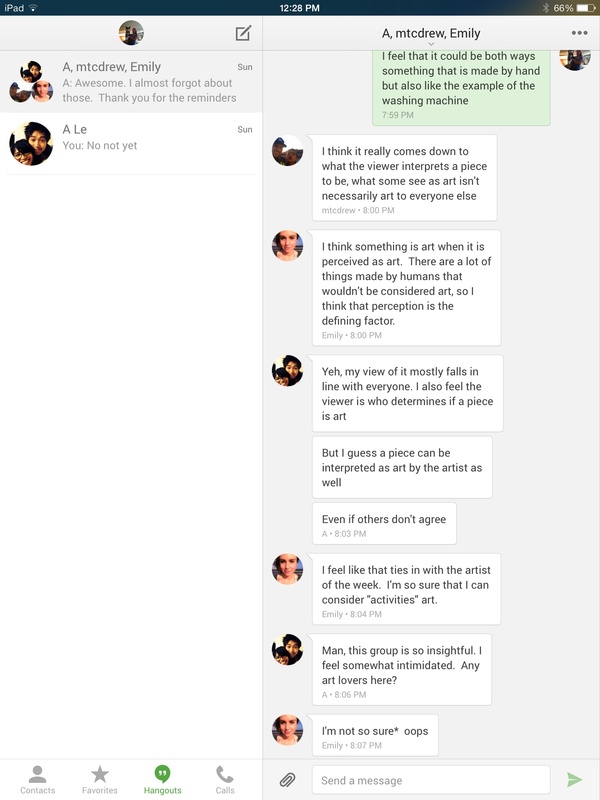 In the group hangout we discussed the question about what is art? We all had different opinions about it, and I agreed with one of my group mates on the fact that I consider both hand made and naturally made objects to be art. Where it be a rusty cool looking washing machine, or a painting, I still think art can have many ways it is formed. Moving on to the artist of the week Allan Kaprow, the man who created happenings and made art physical and adventurous. During the lecture I saw a picture of tires and was interested in just what it was. 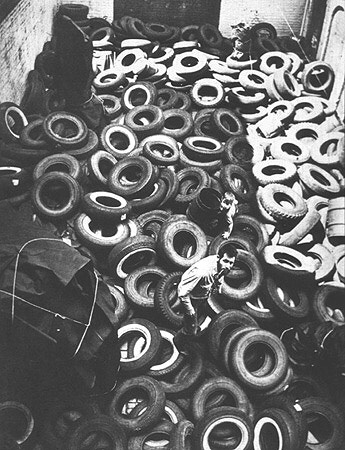 In 1961 Kaprow placed tons of tires and called it yard. It amazes me to think that after researching it further there are still many artist that try to recreate his work.